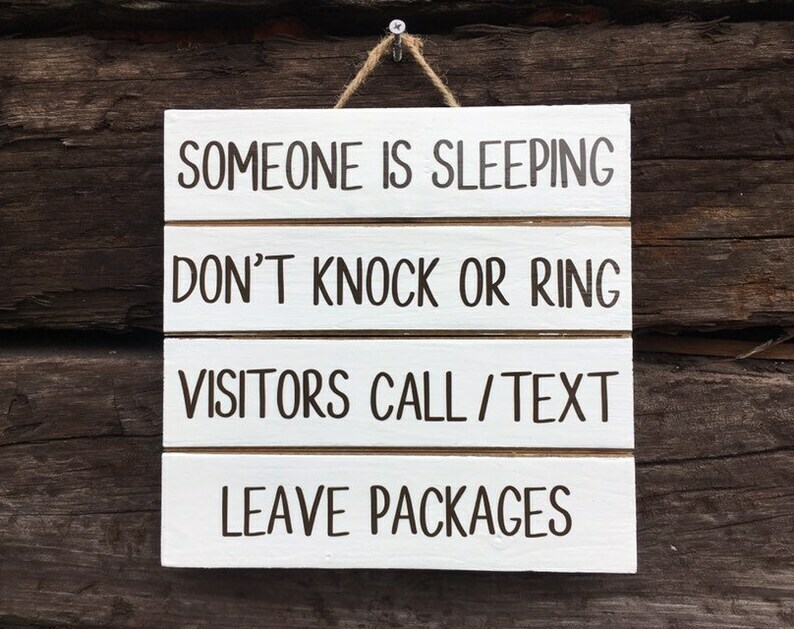 This pretty wooden pallet style sign is perfect for anyone who works the night shift and sleeps during the day. It's also great gift for parents who don't want people waking up their babies during nap time. Put it on your front door whenever you need it. This one is white with brown lettering, but I offer several other styles as well. This wooden sign is painted, sealed, and decorated with outdoor grade vinyl for durability. The sign measures approximately 10 inches x 10 inches. Since each item is handmade, each sign will vary slightly. Since the signs are made from natural wood, the wood grain and knots will cause variations as well.